For now, though, New Mexico is among states that by Oct. 11 will seek an extension to comply with rules governing one of the most commonly used forms of government-issued identification: driver’s licenses. One of the main sticking points in New Mexico’s case is that the state issues driver’s licenses to foreign nationals. The Real ID Act, passed in 2005 as part of a broader effort to tighten security following the Sept. 11, 2001, terrorist attacks, requires proof of legal status in the country to get a driver’s license. Homans said U.S. Department of Homeland Security officials recently visited the state to look at New Mexico’s procedures for issuing those licenses, including steps the Motor Vehicle Division takes to verify documents. Since 2003, New Mexico has allowed immigrants to get driver’s licenses using a Mexican government-issued ID or a taxpayer identification number. The state, which has issued thousands of such licenses, recently stepped up document verification and works with Mexican officials to check authenticity. Gov. Bill Richardson and others say roads are safer because immigrants learn about driving under U.S. laws. Others point out that immigrants with licenses are required to have proof of insurance, which has lowered the state’s uninsured driver rate. Richardson “has reservations about both proposals and he does not plan on changing his position,” a spokesman said. The new proposal’s title is shorthand for Providing Additional Security in States’ Identification Act of 2009. And New Mexico privacy advocates say the PASS ID Act isn’t much different from the first try at a national ID law. 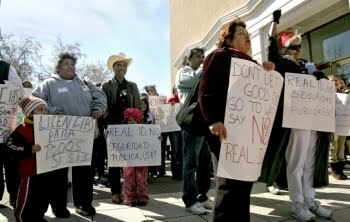 “It really does most everything Real ID did,” said Peter Simonson, executive director of the ACLU-New Mexico. “It did nothing to stem the concern of privacy rights organizations that states wouldn’t incorporate radio-frequencies chips in the cards, so ultimately you’d have a situation where people’s data could be scanned from afar, that other data could be stored there, that people could illegally scan the data,” he said. Simonson said he’s also concerned about other things included in the proposal, including giant databases of information that could be vulnerable to hacking. A spokesman for the Air Transport Association in Washington, D.C., said the group doesn’t prefer one act over the other. “We don’t have a preference from a security perspective. We rely on the Department of Homeland Security and the (Transportation Security Administration) to make the decisions that are in the best interest of the country,” said David Castelveter, vice president of communications. TUCSON WEEKLY : RAUL DIDN’T GET THE NOM. “As that disappointment sinks in, conservationists are partially pinning hopes on the incoming Barack Obama administration and Arizona Gov. Janet Napolitano, a critic of the fence, who is slated to replace Chertoff. 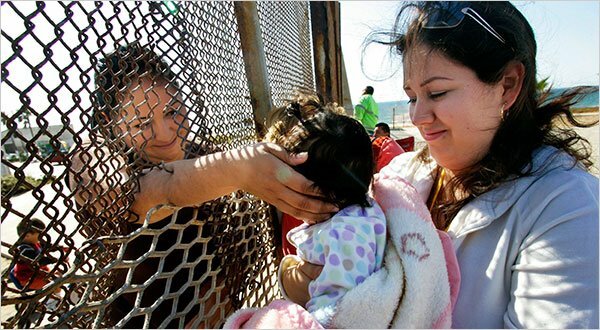 But even those hopes were tempered somewhat in December, when Obama passed over Arizona Rep. Raúl Grijalva–an ardent border-fence opponent and sponsor of legislation to repeal REAL ID’s waiver provisions–in favor of the more moderate Democratic Sen. Ken Salazar of Colorado to head the U.S. Interior Department.